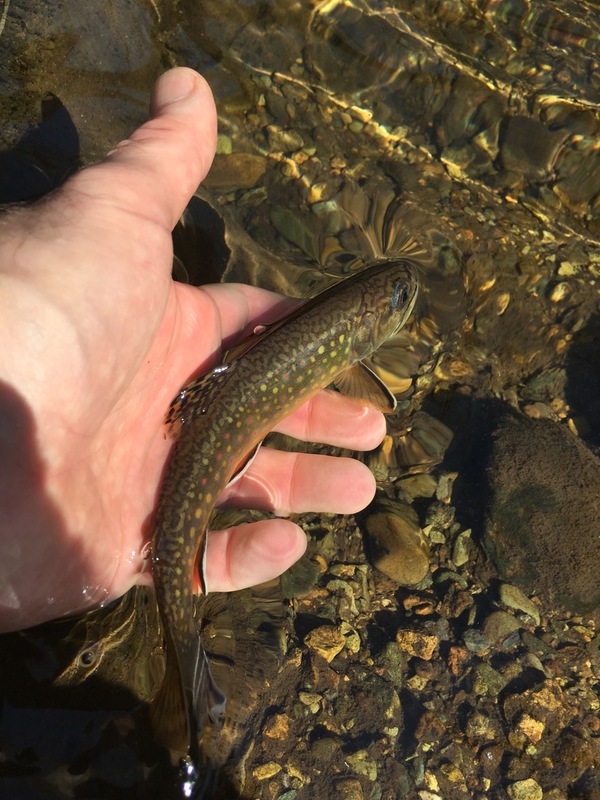 Wild brown trout are not super abundant here in Virginia. There are a few places you can find them, though. 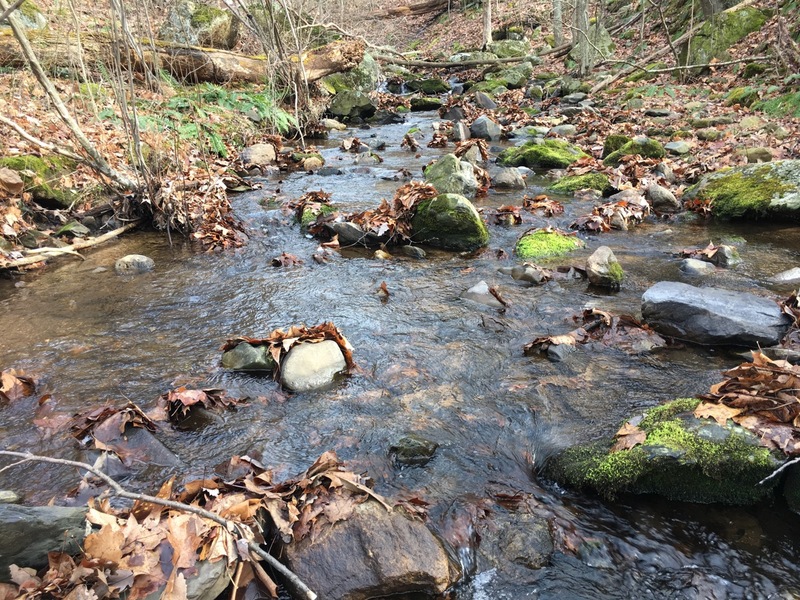 In Shenandoah National Park, there are some streams with viable populations (for better or worse, more on that below): the Hughes River, Rose River, Brokenback Run, and the Conway River. It is possible a few other streams in the park contain remnant brown trout populations as well. 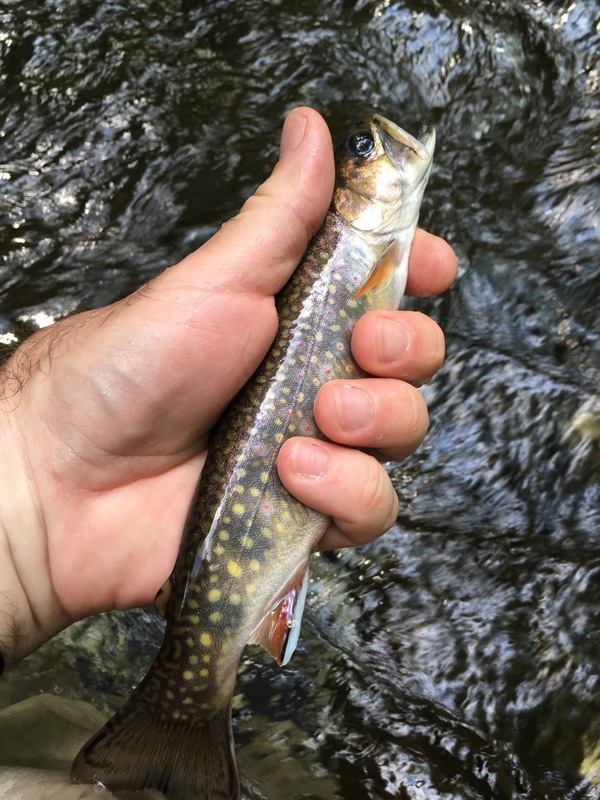 Elsewhere in the state, healthy brown trout populations exist in places such as Mossy Creek, but compared to, say, Pennsylvania, opportunities to find brown trout in Virginia are fairly limited. Going from 70-degree days in February to the 50’s, 40’s, 30’s, and even a few days in the 20’s in March is pretty tough. Before the temps tanked, dry fly fishing in the mountains was on fire, and the hills were coming alive with the first wildflowers. 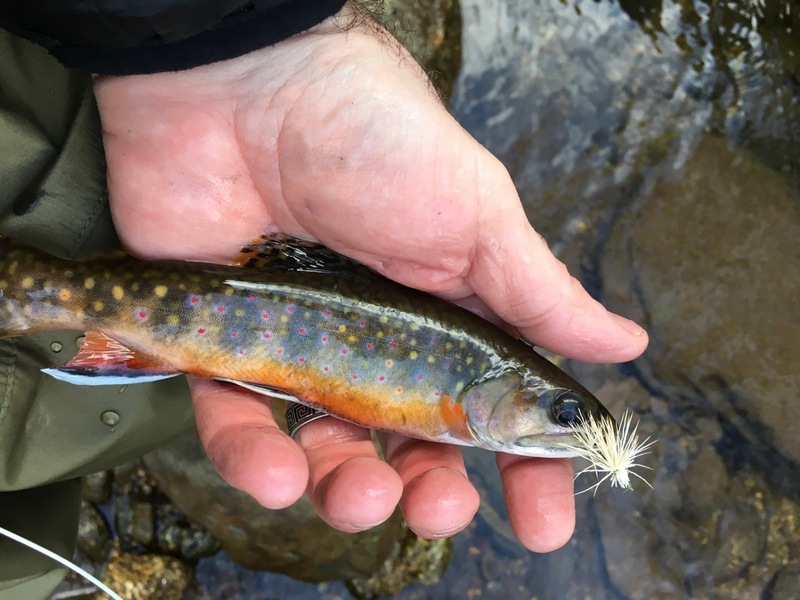 I recently headed out to Shenandoah National Park to a very small stream that I’d never heard a thing about. 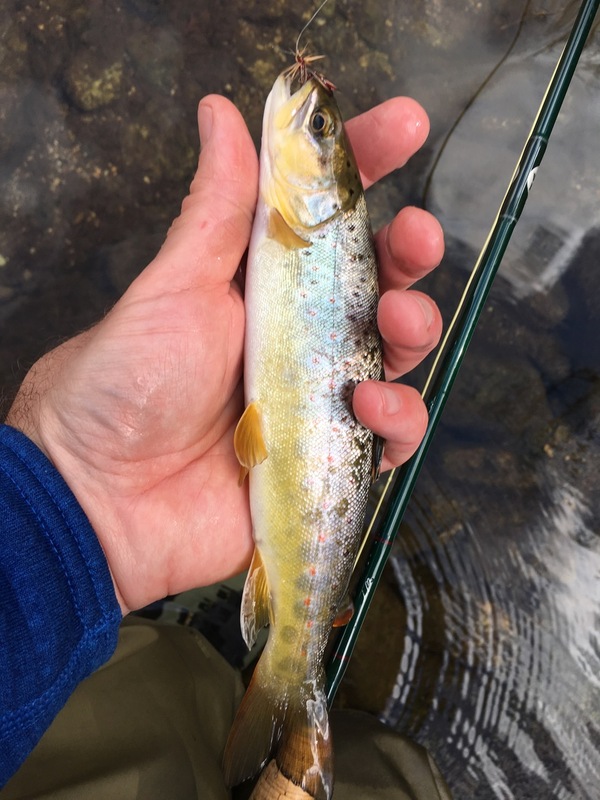 These overlooked bits of water in the park are hit-or-miss, and you never know if they have fish until you hike up or down to one and cast a fly. Got out last week for the first time this year, to the Rapidan River, on the edge of and into Shenandoah National Park. That stream never disappoints. Temps were in the mid-50’s, mostly overcast, with the occasional shaft of sunshine. What worked: various Elk Hair Caddis patterns, most with a green body. Also, a green bead head nymph with rubber legs. Man, did I catch 50 fish yesterday? I can’t claim that outright because I lost count. It was close, though. Could have doubled that if I’d been able to stick around longer. 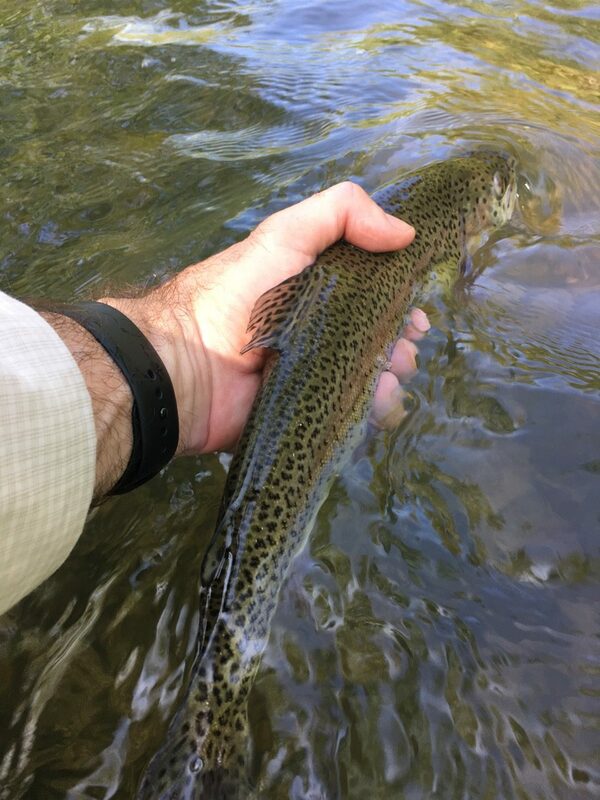 Not that number of fish is the objective, but it shows that dry fly fishing is absolutely on fire right now. 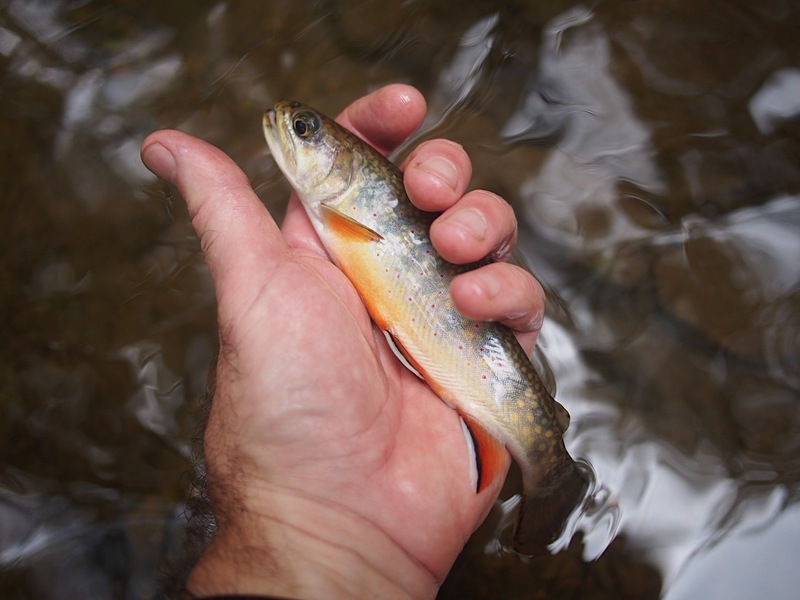 It’s certainly the best time of year to be after brook trout. They are reckless, launching themselves at naturals as well as imitations. Every fly I tried worked. Shenandoah National Park. Go there now! Breaking camp on a frigid Friday morning, I heard a deafening roar about a second before the fighter plane appeared. It shot by directly overhead and startled the crap out of me. If that’s how suddenly a warplane can be on you before you hear it, I’m glad I’m not one of the enemies. Geez, is this really happening again? 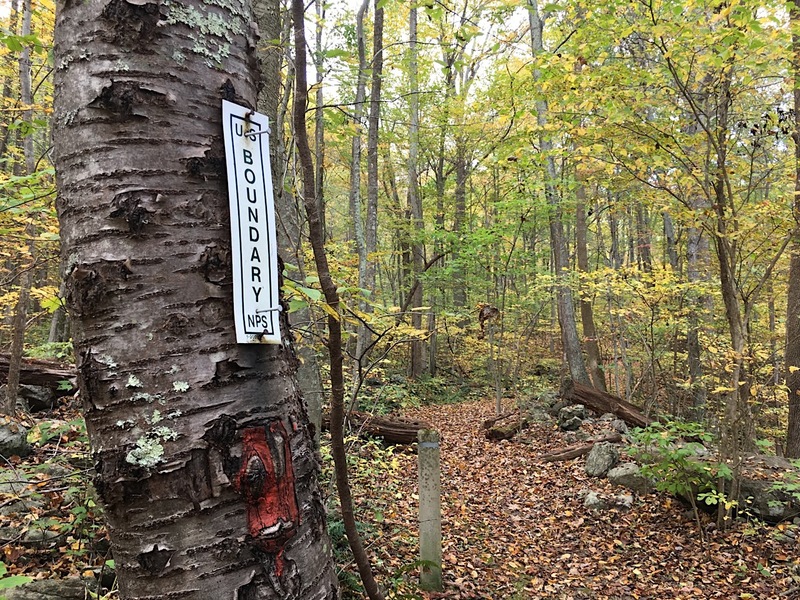 Local landowners have filed a lawsuit over access to John’s Creek near New Castle, Virginia. This was triggered by the Virginia Marine Resources Commission (VMRC) re-evaluation of the navigability of fourteen waterways in the state in 2015, in response to… well, probably best to read the lawsuit story link above rather than relying on anything I could recount here. 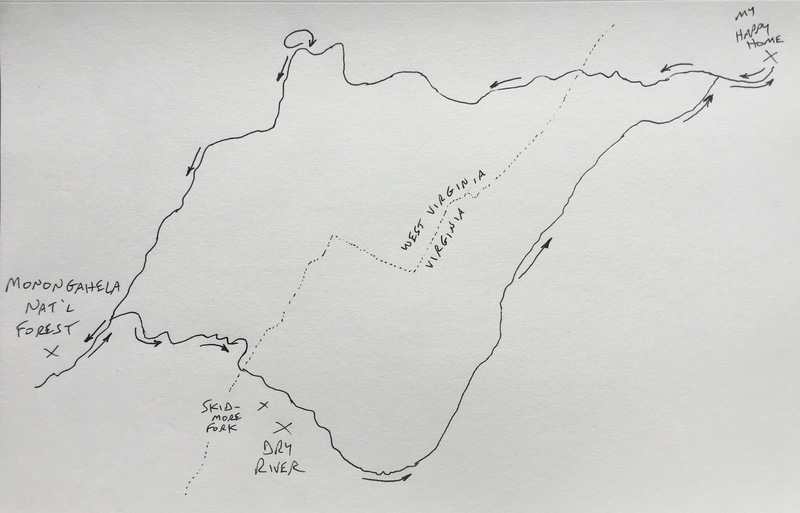 This case is specifically about access to a waterway used by whitewater kayakers, but the interests of boaters and fisherman overlap quite a bit. These cases are now a few small steps from limiting all kinds of river access. Like the Jackson River and “Crown Grant” ruling a few years ago, this also goes back to property deeds granted under King George in the eighteenth century. So what to do? Not sure right now. This is a breaking story, hopefully we will find out more soon. Update: Haven’t seen anything yet, but more info will probably follow on the Virginia Rivers Defense Fund site.